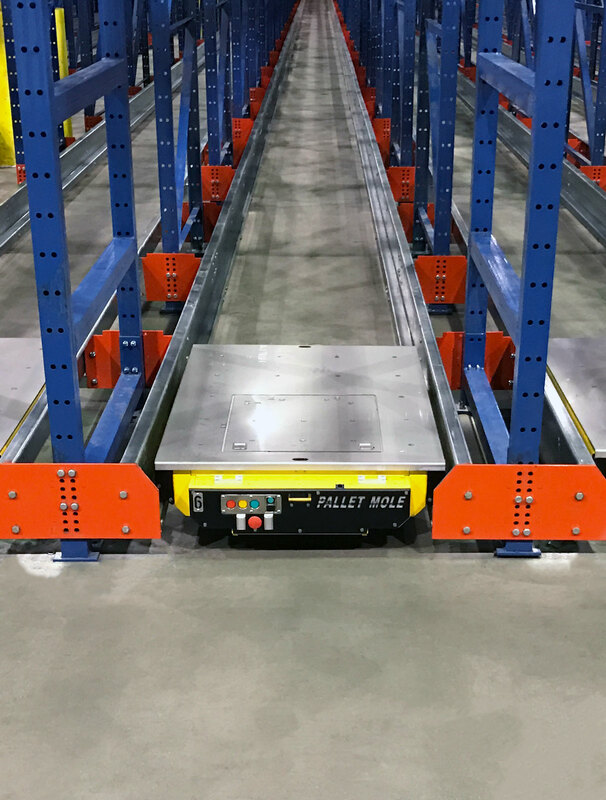 Utilizing the latest technology in compact, high density storage, FRAZIER’s semi-automated Pallet Mole® systems optimize floor space while measurably increasing productivity. 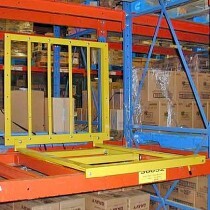 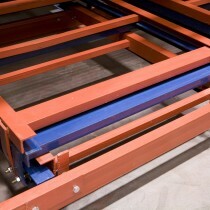 The Pallet Mole runs underneath the pallet loads on rails, delivering and extracting pallets within a deep lane rack system. 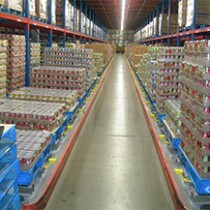 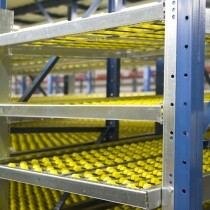 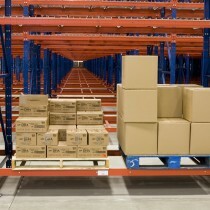 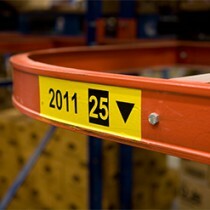 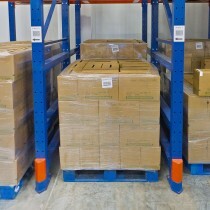 Working in either FIFO or LIFO applications, the Pallet Mole significantly improves throughput by indexing loads directly to the first pallet position at the aisle face. 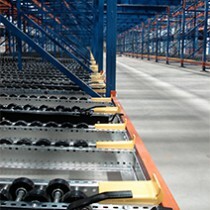 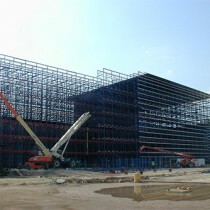 Using a RF controller, the operator can instruct the electro-mechanical platform to lift, lower, or shuttle pallets to the desired position; or program the system to run various predetermined functions.